Let’s just lump all this together, shall we? This week has proven to be quite noteworthy when it comes to news, with a lot of films getting some pretty massive bits of breaking news. But then there’s also some other news falling through the wayside, stuff that I really don’t have time to cover in individual articles and want to cover anyways. There’s really little linking these films together, other than the fact that they are opening next year…so yeah, I’ll use that! Check out some quick news bites on films coming out in 2016! *First let’s talk about a film I am really excited about: the Lonely Island movie from directors Akiva Schaffer and Jorma Taccone has been dated by Universal for June 3, 2016. The film has been shooting for a few weeks now, so a summer release date is a strong sign that the filming is doing well if you ask me. Also starring Andy Samburg, the currently untitled film is one of my most anticipated films of 2016 forsure. Yeah, looks fun. If you remember correctly this is the buddy cop film taking place in the world of animals (think Midnight Run with a fox and a rabbit), and I think this image looks like a ton of fun already. 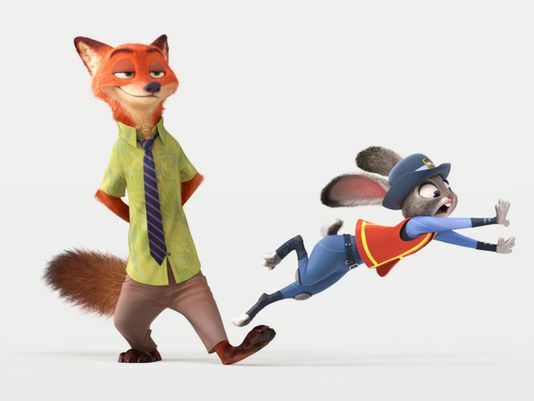 And with Jason Bateman as the voice of the fox Nick Wilde (ha) and Ginnifier Goodwin as the voice of rabbit Judy Hops (HA), I’m excited to see more of this pair-up come next year. The film opens March 4, 2016. C’mon, the answer to that one question is obvious: Batman is the hero that the people need, but just don’t need right now…I think. Yeah, that speech is still pretty vague to me. Sounds badass though. Eh, whatever — Batman v. Superman: Dawn of Justice opens March 25, 2016. Let’s just end this weird article now.